We believe that young men and women are best prepared to leave a lasting mark on the world if they are equipped with a stellar education, exemplary faith development and steadfast moral compass. 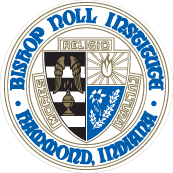 Bishop Noll Institute is uniquely qualified to provide this opportunity and has done so for almost a century. Building on our strengths and history of accomplishment, BNI is poised to further ignite and inspire a generation of learners who will contribute greatly to hunanity. Our high school is prepared to move each aspect of the BNI experience - mind, body and soul - to the next level of excellence ... with your help. Our $3.5 million Ignite and Inspire campaign will provide our students with a greatly enhanced curriculum so that they may take advantage of many emerging areas of study and careers in higher education and the world of work now provide. Our faculty and staff enable our students to achieve milestones and miracles in a tremendously caring and supportive environment. The Campaign will reward their commitment to mission and further strengthen their skills and expertise. And at long last, we will have the outdoor facilities that make sense for our students in band, sports and other arenas. Read the Ignite & Inspire campaign booklet here.